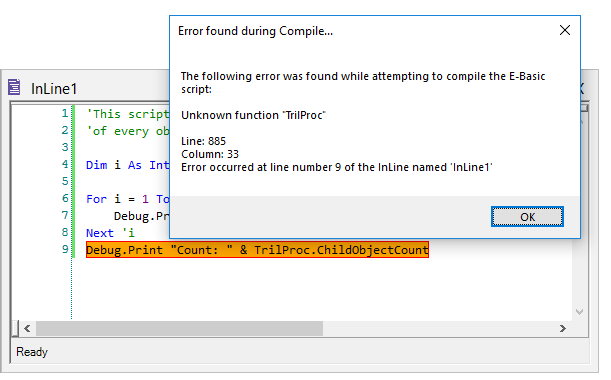 When a compile or runtime error occurs, E-Studio highlights the line on which the error occurred. If the error occurs in an InLine object, then the InLine object that contains the error is opened, given focus, and the caret (^) is placed on the offending line. Similarly, the interface directs focus to the User or Full Script if the error occurs within either them.